For Sew Mama Sew Giveaway Day, I am sending one lucky commenter this quilted pillow cover. It is made from leftovers from a quilt I have been working on this year. It is a very traditional Jacob's Ladder block and the the color scheme and pattern are borrowed from this tutorial at Blue Elephant Stitches. It measures 18" square and I've used a 20" Ikea pillow form. (To save on shipping, the winner will only receive the quilted pillow cover, not a form as well). It is a whopping 212 pieces, which were aided by strip piecing and Thangles. I quilted this with some simple straight line quilting, echoing the pattern. It has a dotted fabric on the back with a zippered flap closure. Here's what the quilt top looks like, made of all of these blocks. I am in the slow process of hand quilting it with perle cotton. Good luck! Comments will be allowed for this giveaway from now through December 15 until 6 pm MST. A winner will be chosen randomly that evening and will be notified via email. Please make sure you are not a "no reply blogger" so that I can contact you. International entries are welcome. I love the Big Bang Theory and the Blacklist. I don't see many movies. My favorite tv shows are Big Bang Theory and Criminal Minds. My favourite is The Great British Bake Off as I love to cook too. Downton Abbey is a must too and now we are waiting for the Christmas day special. Wow, it looks like a lot of hard work and patience went into that quilt and cushion. My favourite film is edward scissorhands. And the great british bake off and the great british sewing bee are my favourite telly programmes. I really enjoy The Good Wife... Great for a netflix binge! And every single season is great! Haven't watched much TV lately since we've been in the road... We're in Denver right now for a couple more weeks!! Found an awesome modern quilt shop and spent way too much money! And yes I follow you! But I've been a terrible blog reader this year! The quilt and pillow are beautiful! I follow with Bloglovin' too! I've been watching Monarch of the Glen - kinda silly but not much on Netflix right now. I love this pillow cover for my daughter. She is in college. I am a more traditional quilter so this would be great for her since I can't seem to sew modern! lol! I love the look but haven't learned to achieve the modern look. lol. I am a new follower on Bloglovin. I love your photos and projects. Criminal Minds is my favorite. Ponyo is a beloved favorite movie. Good for kids and adults alike. I'm a new follower. Your quilts are stunning! I'm a real fan of the Masterpiece series. I love watching Bones, Castle and a British series called New Tricks. I love the Masterpiece Theatre shows. Fingers crossed. I follow you on Bloglovin under jonquil alexia. Wow! Such patience in the beauty of this pillow top! My favorite tv show is 'Grimm'. The Librarians is looking good, as well. On Netflix I am a huge, geeky Midsomer Murders fan. I love Supernatural. 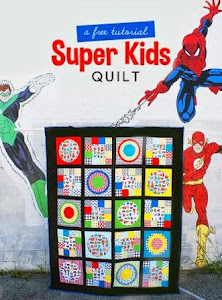 Watch it a lot on Netflix while quilting! I love foreign films! One of my favorites is For My Father. I recently rewatched Sherlock because I love that series! :) I'm also a big fan of Arrow. My favourite programme is Great British Sewing Bee, fav film is Mama Mia!! 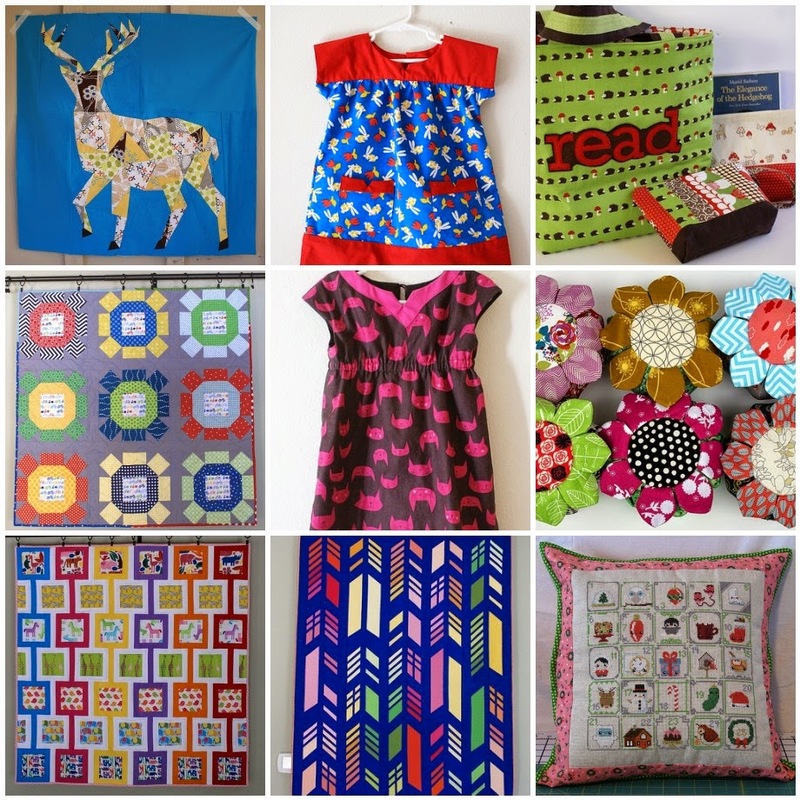 I'm a new follower, love the quilt! My favorite show is Big bang Theory but I also love Brooklyn Nine Nine. Leslie and I love Royal Pains; it's funny and clean with minimal language. Oh and I am following your blog. Dr. Who is my very favorite TV show! I really enjoyed "Call the Midwife" on Netflix. It is perfect to have on in the sewing area while working away. I was disappointed when I finished the series. I don't watch much TV or movies but I did binge watch Gilmore Girls when they added it to Netflix. Oh my goodness, you are giving away a pillow that matches your gorgeous quilt! I tend to watch documentaries on Netflix if I'm not watching Daniel Tiger, My LIttle Pony or Curious George. I thought Pururambo was really crazy and worth watching. That is a totally different world than what we experience. Ok, so I'm late to the party on this one. But i'm just discovering "the Good Wife." I'm only on episode 4 but the bonus of Netflix is no adverts so I'm getting through it quite quickly!! Love Comes Softly is a very sweet movie series based on books by Janet Oke. They are tear-jerkers. My favorite tv show is Big Brother. I just started watching Once Upon a Time on Netflix and am loving it! love the cover. my netflix fall backshow is Fraiser for a laugh. watched the movie, "In a world" and recommend it highly. I am a big fan of Grey's Anatomy! I really like Bones on Netflix. I'm a sucker for socially awkward female characters. Oh I don't know if my comment went through because I wasnt logged in! Ugh! Ill try again. I have to recommend American Horror Story in Netflix. It's so good! And for mindless reality tv chuckle, I recommend "Small Town Security". What a beautiful pillow! Thanks for the chance to win. :) I have a lot of favorite shows but am currently watching back seasons of The Killing on Netflix. It's fantastic! Lovely pillow! Thank you for the giveaway! I'm watching Foyle's War and getting ready for the new Downton Abbey season to start by watching last seasons's episodes. What a beautiful pillow! Love the colors! Favorite show? Man, I'm a tv-holic.. hehe Love The Blacklist, Major Crimes, Downtown Abby and the list goes on! I would love to watch while comfortably sitting on a pillow dressed with your lovely creation! I love your creations! Our whole family likes Amazing Race and I'm rather partial to Call the Midwife. Best thing on netflix- the paradise. I'm hooked! You do beautiful work! My favorite show would have to be The Goodwife. But I am watching the first seasons of The House of Cards until I get caught up! I'm really enjoying Modern Family and Black-ish. Plus Downton Abbey (can't wait for January to come!). Thanks for sharing this lovely prize with us. The quilt is gorgeous! Gorgeous pillow! I've been re-watching The West Wing on Netflix... Such an intelligent show! And I am a follower via Bloglovin'. Beautiful pillow! My favorite show right now is Nashville but I'm going through the comments looking for recs too. I've been watching Restoration Home from the BBC. 'bones' is one of my favorite shows. that pillowcase is incredible! such a lot of work. it would be proudly displayed in my home. thanks for the chance & happy holidays. Right now we are watching the gilmore girls on netflix and love it. Ummm, I love everything you do. Always. You know that. I kind of covet this quilt. Shows I love: Scrubs, How I Met Your Mother, and Better Off Ted. Better Off Ted only has twenty something episodes, but it's on Netflix and it's hilarious. Also Peep and the Big Wide World, but that's more because I don't have a real choice during the day about what I watch. Do I count as a follower if Google sends me a notice every time you update and then I check your blog? Because that's how it goes for me. I like action and suspenseful movies. Some of my faves are Reservoir Dogs, The Usual Suspects, The Spanish Prisoner, Pulp Fiction & the From Dusk Til Dawn series. I follow you via Bloglovin. I love that Jacob's Ladder value quilt. Need to add it to my list. What a beautiful cushion, at first glance I thought, yes that will look lovely in my little girls room in her reading nook - but now I am thinking if I am lucky enough to win I would like to keep it in my bedroom, it's gorgeous. As for TV, well I am afraid I like to zone out to something trashy like The Bachelor. But my favourite movie is The Help, I could watch it over and over and over. oooh and I am a new follower now too! Fav TV shows? LOST for sure, Switched At Birth is AMAZING. Amazing amazing ( it's on ABC family). I also love House of Cards since Kevin Spacey is super cute. Orange is the new black is great too. Also American Horror Story (season one is the best!). Oh my gosh. That is beautiful! Right now, my husband and I are addicted to Homeland. Also, my favorite movie is You Can Count on Me which is available on Netflix. Gorgeous! It would go well in my daughters room that I'm decorating. Forgot to add that some of my favorite Netflix shows: Call the Mdwives, Scandal (!! ), Dexter, OITNB. All of them a bit addicting! I loved Call The Midwife on Netflix! Actually, I don't usually watch movies and we don't have a TV...altho my 86 year old mom who lives with us has a TV in her quarters. She loves for us to come in and visit her and watch Jeopardy with her every night. Our favorite new show is Madame Secretary...it's a big hit with us. How could you ever part with that pillow cushion cover??? It is outstanding!!! I would treasure it should it come to live with me. Lovely giveaway,thank you for the chance to win it.We watching Lost now and love it!My fav movie is Avatar.Have a lovely week. I love Arrow, Agents of Shield, Doctor Who and Supernatural. Thanks! I follow you via Bloglovin. Thanks! I don't really watch movies or TV shows; too busy quilting! I would love to win your awesome pillow cover! Reign on the cw is my favorite show right now! Bones is my all time favourite tv show but lately I have been watching the old classic Bewitched episodes while I sew! I love the pillow. My husband and I just finished It's alway sunny in Philadelphia and Portlandia on Netflix. We also like Mad Men. I like Orange is the new black on Netflicks. I rarely admit it but Buffy the Vampire Slayer is my favorite TV show. Especially the musical episode, lol!! Downton Abbey and Glee! ;-) This is the perfect color scheme for my house. I find that when I crochet I like to watch hr. shows. I am a big fan of old twilight zone, alfred hitchcock presents, night gallery. Things that dont take too much concentration. I love your work. I love that Dresden fabric. Especially the dark. I follow you too. Great blog. You are so talented. Thanks for a great giveaway too. Happy Holidays! Fingers crossed! I like the Mentalist and recently watched Blue Bloods and liked it. Not sure if you like cop shows though. If you want funnier shows, Hogan's Heroes cracks me up! And I am a new follower via Blogger. aahh! i love this quilt, so excited to have a chance at the pillow cover Laurie!! oy, i dont watch tv!! last tv show i watched in earnest was ED...does anyone even remember that show? Bridget Jones Diary is the movie that probably makes me most laugh. thanks for the giveaway chance! The new show I'm addicted to right now is Scorpion... great show! I like how this team of really super smart people help the government and solve mysteries...but they can still be humbled and human. If you haven't seen the irish series Love/hate then highly recommend it. Brilliant drama. Also recommend the irish/uk version of the Fall with Jamie Dornan aka Mr Christian Grey! The Office is great. Must watch it from the beginning to get to know the characters. It's so awesome...never gets old. Ps. This pillow is incredible. Beautiful pillow. We watch all the NCIS shows. Oh my! BEAUTIFUL!!! I am not a TV or movie watcher so I don't have suggestions... a while back I watched a few episodes of Parenthood, but I'm not sure if that's still running... sorry for not being of much help. Thanks for the chance to win your beautiful creations. My guilty-pleasure favorite tv show are all of the Real Housewives series. Your pillow and quilt are absolutely stunning! Thank you for offering this giveaway. Favorite movie is Holiday Inn! So many shows and movies I love, but I have some really obscure tastes so I will suggest a few; 'The Girl with the Dragon Tattoo' - Netflix has the original Swedish version of 3 movies which is superior to the Hollywood version, 'Gilmore Girls', 'Portlandia', 'Secrets of the Tower of London', 'Wildest Islands', and 'Mysteries at the Museum'. All are available on Netflix. Your pillow and quilt are gorgeous!!! I'm a Netflix devotee and I just discovered the Danish show "Dicte" which has English subtitles. It's a really nice mystery/drama with good female characters and a satisfying storyline. My favourite ever is Spooks from the BBC! If you happen to like Downton Abby, you may like "The Paradise." It centers around a new department store and how its existence effects people from all classes of the community. It currently has one season on Netflix. We just finished Sons of anarchy and finishing up Mad men! I love Blacklist, and Criminal Minds. I love Castle! I remember the quilt and it is gorgeous! I'm rewatching through Buffy for the third time! I love Modern family and The Walking dead! addicted to the Walking Dead!! I have really enjoyed a program called "Call the Midwife". We checked the series out from our library and watched them out when I wa not busy sewing. I love your pillow cover. My current favorite is The Walking Dead which just went on mideast break :( I love Doctor Who too! I follow you via Google Plus. I recently just enjoyed How to Get Away With Murder! Good show if you like mysteries. Don't watch with youngsters though. Love your quilt and pillow! 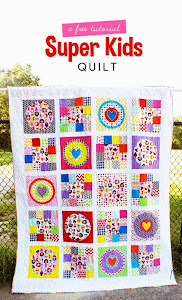 Love the personalized giveaway, your patchwork is so beautiful. My husband and I have a few favorite movies, but laugh and find 'The Castle' funnier and funnier every time we see it. It seems no one has heard of it when we mention it, maybe because it was filmed Down Under, and some years old now too. Beautiful pillow! I love the fabric choices. Absolutely love this ! Bookmarked you to come back. I perennially love Dr. Quinn Medicine Woman. Nostalgia I guess. The Good Wife is a modern favorite ! Also, a new follower ! I love this pillow! Is the dotted fabric on the back from Comma? I am loving project runway- just got into it during the past season! Great colors and pattern. TV Show - we are watching Longmire. Have a merry Christmas! I really liked Eureka. I think you can get that on NetFlix. Bob's Burgers is the best thing on the TV and internet right now! Downton abbey is my current favorite! I like The Blacklist and all the reality shows about Alaska! I've become a big Supernatural junky this year. The Black list is also amazing (very different from each other!). I'm always watching netflix. Let's see. I love Frasier, Vicar of Dibley, Keeping up Appearances and The Office. Those are ones I could rewatch and not get tired of them. :) Thanks for participating! I really enjoy Person of Interest. Love your pillow. The Big Bang theory for laughs and The Black List for drama and intrigue. Thanks for the chance to win. I watch NCIS, other crime series and Outlander. Your pillow is fabulous! Thanks for the chance! We're watching Castle and Bones. Thanks! your works are really gorgeous! wow this is pretty! I've heard Peaky Blinders is really good on netflix... and I definitely recommend Orphan Black! I love all the Outlander novels by Diana Gabaldon or for some fantasy Robert Jordan Wheel of Time series and Terry Goodkind Sword of Truth series! Awesomeness! Thanks for the beautiful giveaway! I don't watch TV so can't help you there. I do want to let you know that I really love your quilt version of this pillow. Would love to have it in my house. If there are 200+ pieces in the pillow, I wonder how many are in the quilt. I am a new follower on Bloglovin. I appreciate your use of saturated color! I can't saw I watch much TV except for Celebrity Apprentice and Project Runway. However, I loved the recent mini series called Red Tent on Lifetime. My library has good rentals of the PBS series I want to try out. This pillow and quilt are AMAZING! I love watching Sherlock (the british version), and prison break! I follow you on BL already! I am a Walking Dead fan. However, just finished re-watching Gilmore Girls on Netflix and just started a show new to me, Heartland. Could not be more polar opposite to WD. Project Runway. Two total opposites! I love watching Chicago Fire - I also watch PBS Masterpiece Theater - Downton Abbey, SHerlock Homes, Miss Marple etc. I follow you on Bloglovin and I like so many of the things you have shown over the last year - especially your big Stag.